We hope you will follow along our Guide to all Fun, Girly things in the Atlanta area. We will be adding all of our blog posts and content related to anything we do for flower parties in the Atlanta area here. Follow along for flower party recaps and photos as well as guides to everything we think is fun and worth doing in the Atlanta area. 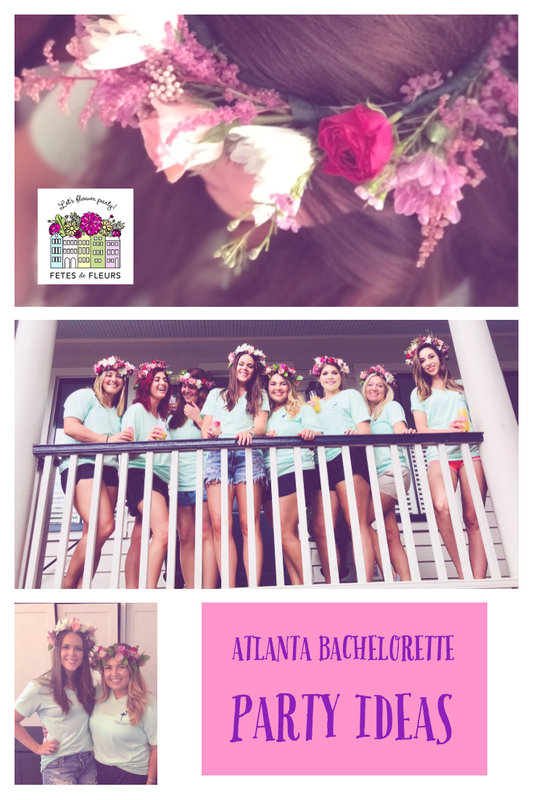 If you are heading to Atlanta for a bachelorette party weekend, a girls weekend in Atlanta or maybe you are a local to the ATL area you can work with us to create a memorable flower workshop for your next celebration or event. Request More Information on an Atlanta Flower Party Here. We hope to celebrate your events, birthdays, bridal showers/baby showers, bachelorette parties and weddings with you in the Atlanta area. You can request more information on how our flower parties work here. Atlanta is home to hundreds of restaurants with equally as exciting brunch menus to pick from! To make your decision easier, I have found the best brunch spots in Atlanta for you and your girls to head to while here in ATL. THE HOTTEST HOTELS IN ATLANTA FOR YOUR LADIES WEEKEND OR ATLANTA BACHELORETTE PARTY! 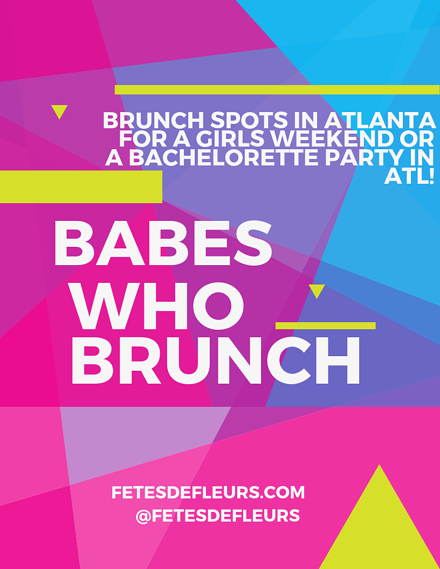 Atlanta is an up and coming hot spot for bachelorette party weekends and girls’ weekends! 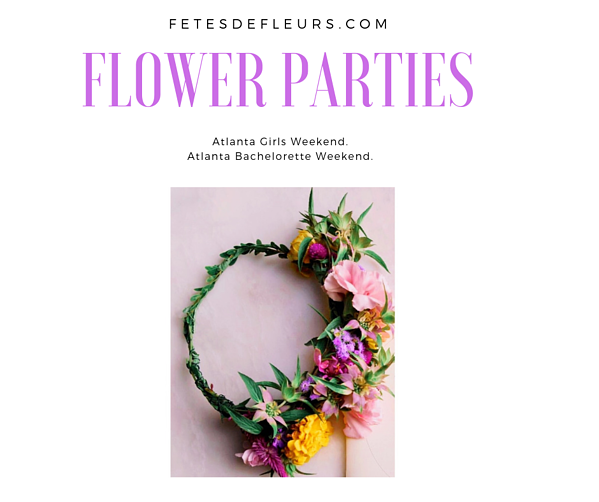 Here at Fetes de Fleurs we will come to your hotel room or a spot in your hotel to setup a flower bar for a flower crown workshop or a flower arranging class for you and your bride tribe or ladies weekend in the ATL. If you are interested in learning more about how a floral party works in the Atlanta are just fill out the form here. 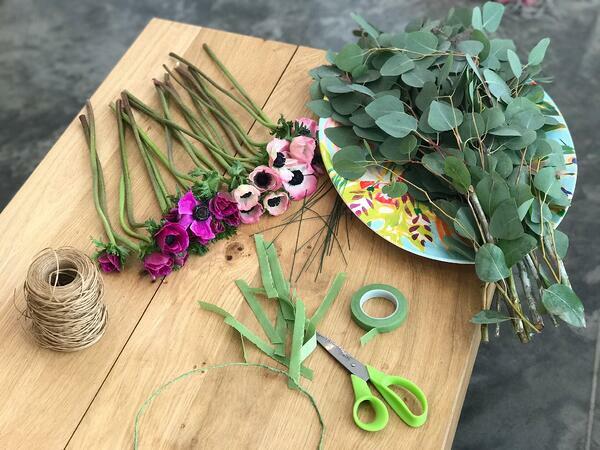 There is no better way to celebrate a special bride to be or a special friend than with a fun flower crown workshop over a glass of wine (or two)! Fetes de Fleurs has the flower crown part covered and I have found some of the best wineries/wine bars in Atlanta for you to wear your flower crowns to and drink some vino. We would be happy to head to one of these wineries too and do your flower crown workshop over some wine, too. 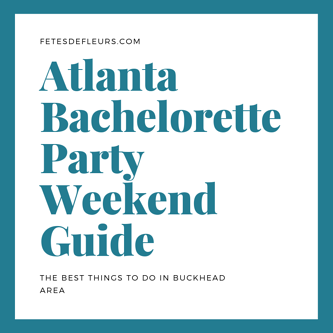 Buckhead is a trendy spot in Atlanta and is home to some of the best restaurants, bars, hotels, and things to do while here for your Atlanta bachelorette party! I have pulled together a list of the trendiest places in the Buckhead neighborhood for you and your gal pals to visit while here on your girls weekend in Atlanta or a bachelorette party in Atlanta. Hey ladies! This is Emily Aaron, your Atlanta flower party hostess. We hope you are finding our posts about the Atlanta area helpful as you plan your bachelorette party weekend in Atlanta. 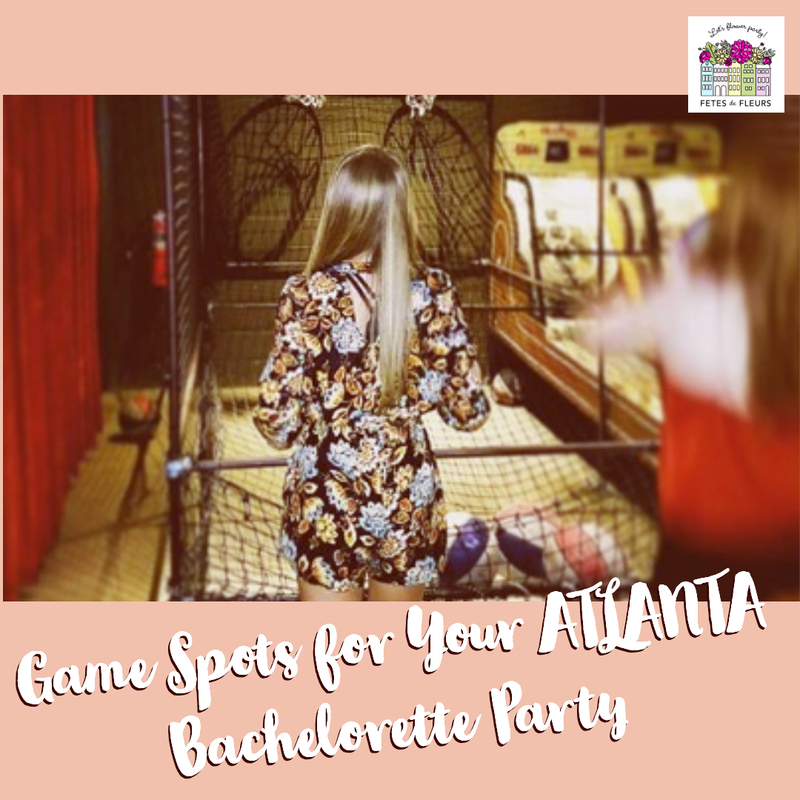 We add all of our posts about things to do in Atlanta for your bachelorette party here on our Atlanta Bachelorette Party Guide - so check it out if you are planning an Atlanta bachelorette party weekend! If we’re being completely honest, the bachelorette party theme is the most important! It is what makes a party a PARTY! 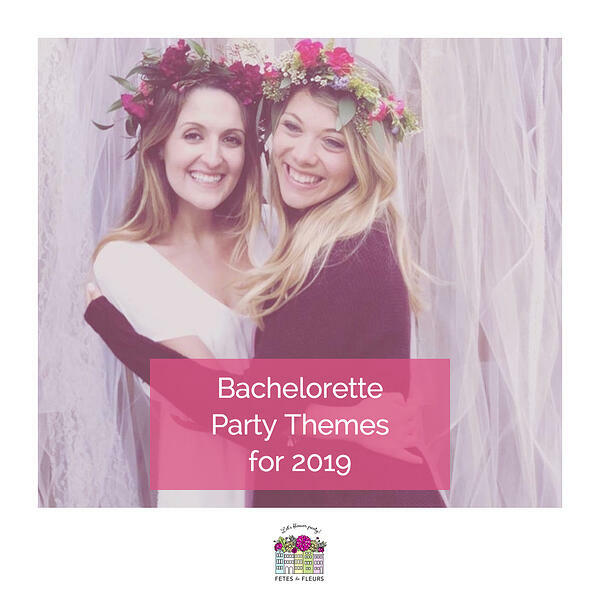 I have picked some of my favorite bachelorette party themes and put an Atlanta twist on them for your party planning purposes. 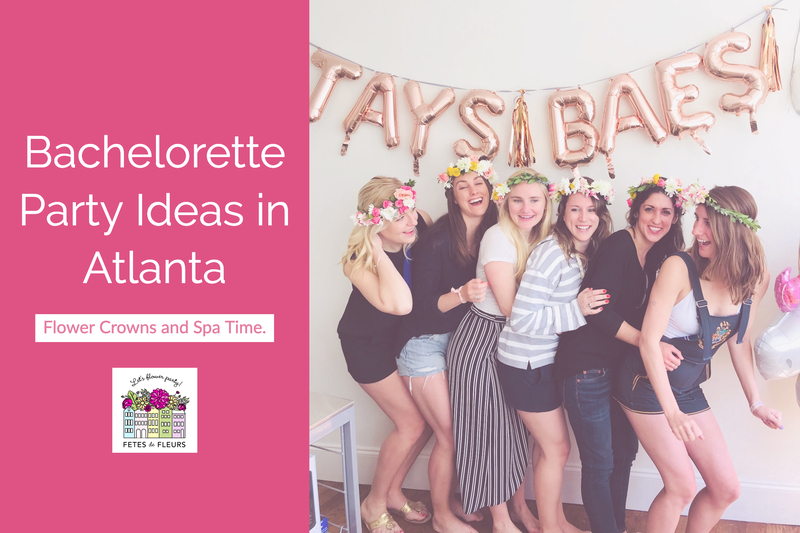 Keep reading to explore the best bachelorette party themes for a bachelorette party in Atlanta! If you’re like me, you LOVE shopping! I love to shop for anything- clothes, shoes, purses, makeup, etc. You are in luck when planning your Atlanta bachelorette party because we have some GREAT shopping. While Atlanta is home to some fun and exciting attractions and nightlife, it also houses some great spas and salons. 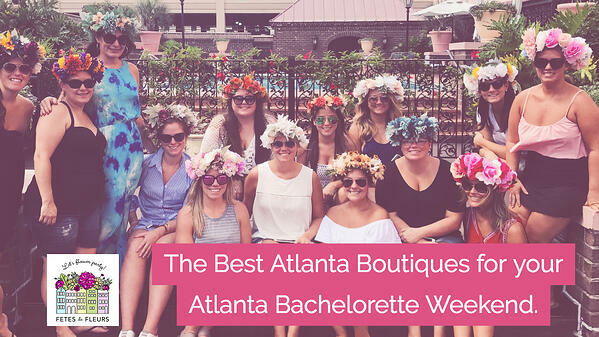 These are the perfect spots to visit with your girls for some relaxation and pampering for an Atlanta bachelorette party or girls weekend! 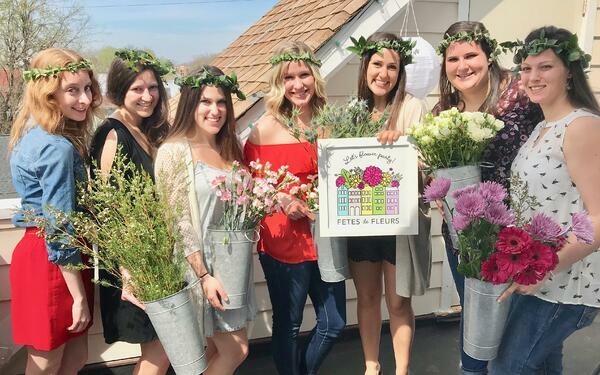 Fetes de Fleurs hosted its first flower crown party in Atlanta last weekend! It was filled with fun, laughter, pretty flowers, and even a cute feline friend. 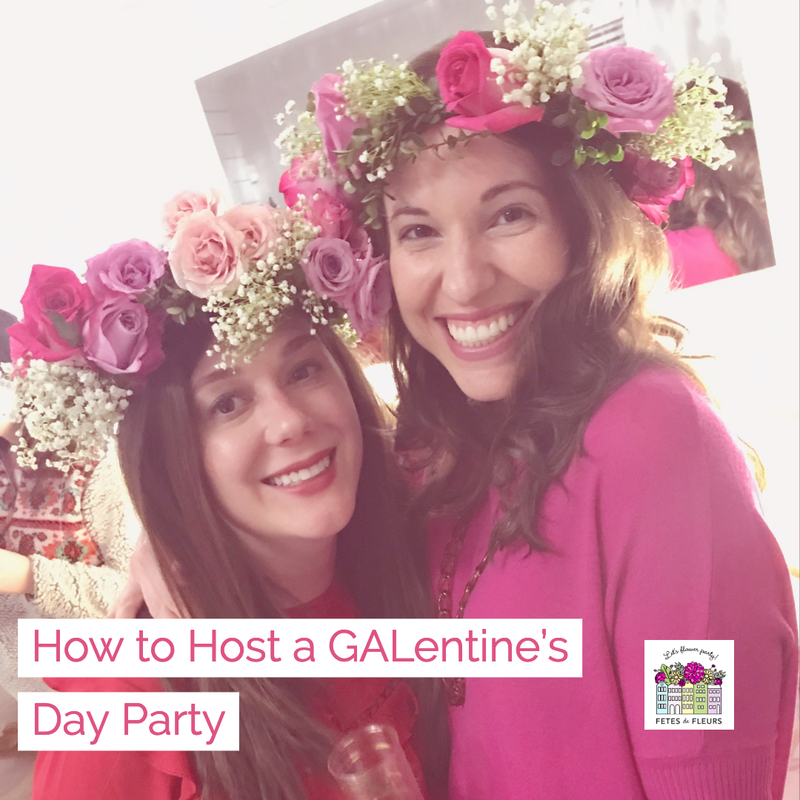 We recap all of our parties here on our blog so if you ever want inspiration for your own flower crown party to see how they work you can read those here. :) Keep reading to see how the first ATL Fetes party went! Atlanta has so much to offer for a bachelorette party or girls’ weekend! From the food to the drinks to the entertainment, there is something for everyone. 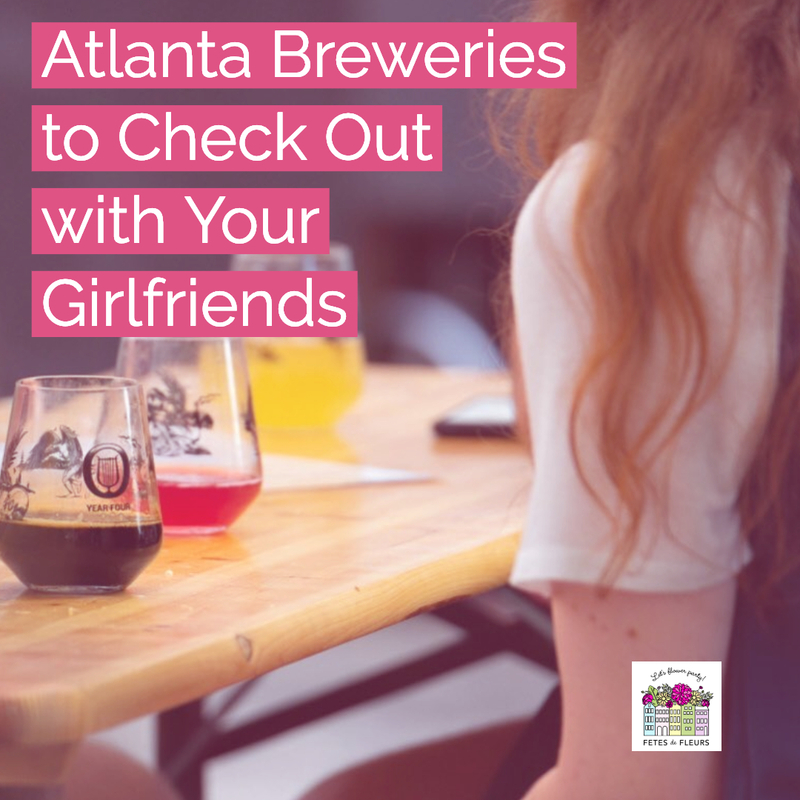 If you and your girls are into trying new craft beers or even sticking to the same one, Atlanta has some great breweries for you to put on your google map favorites! If your gals are more into wine, check out my other post about the best wine bars in Atlanta. Below are some of the BEST places to grab some brews for your Atlanta bachelorette party! Atlanta is becoming one of the top destinations for bachelorette parties or girls’ weekends. There are so many things to do and lots of things to see…and places to eat!I’ve made the planning easy for you by listing out some of Atlanta's best restaurants for dinner. All of these places have the best vibes and even better food! Atlanta is a great place for a girl’s weekend or a bachelorette party. There are so many things to do in and out of the city. I have come up with some of the best day trips for your weekend here in Atlanta. Sometimes the best way to relieve stress is to sweat it out! Whether you’re treating the bride to be with a relaxing weekend away from wedding planning or just looking for a way to relieve every day stress, a fun and intense fitness class is the way to go. 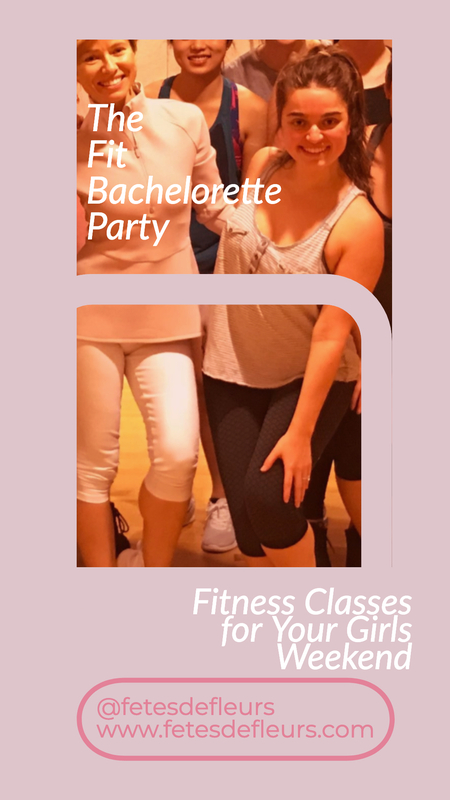 Keep reading for a list of some of the best gym classes to take while you’re in Atlanta for your bachelorette party or girls weekend! 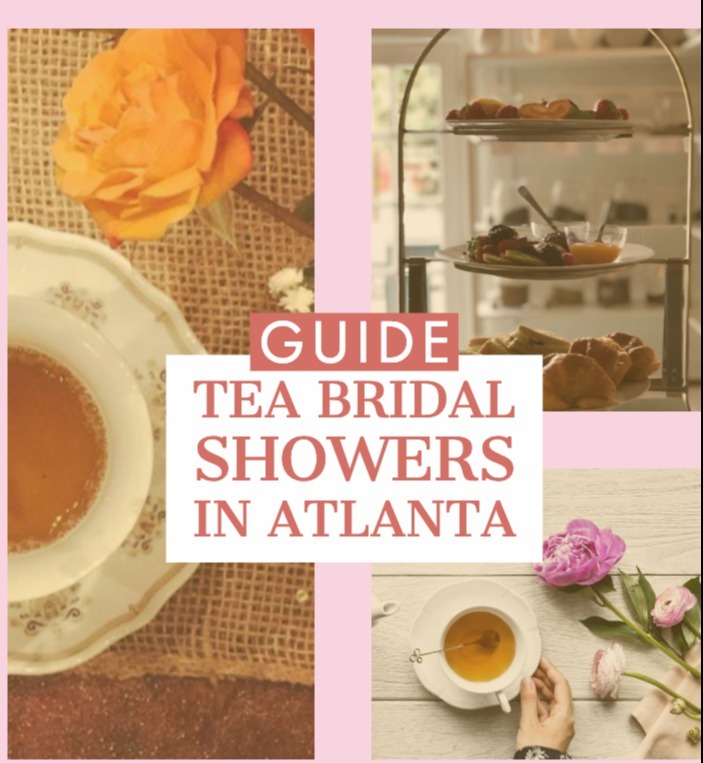 WE ALSO HAVE LOTS OF GREAT TIPS ON WHAT TO DO IN ATLANTA FOR A GIRLS WEEKEND OR A BACHELORETTE PARTY ON OUR GUIDE TO ATLANTA HERE. We all love a good photo-op and an even better Instagram post- am I right?! 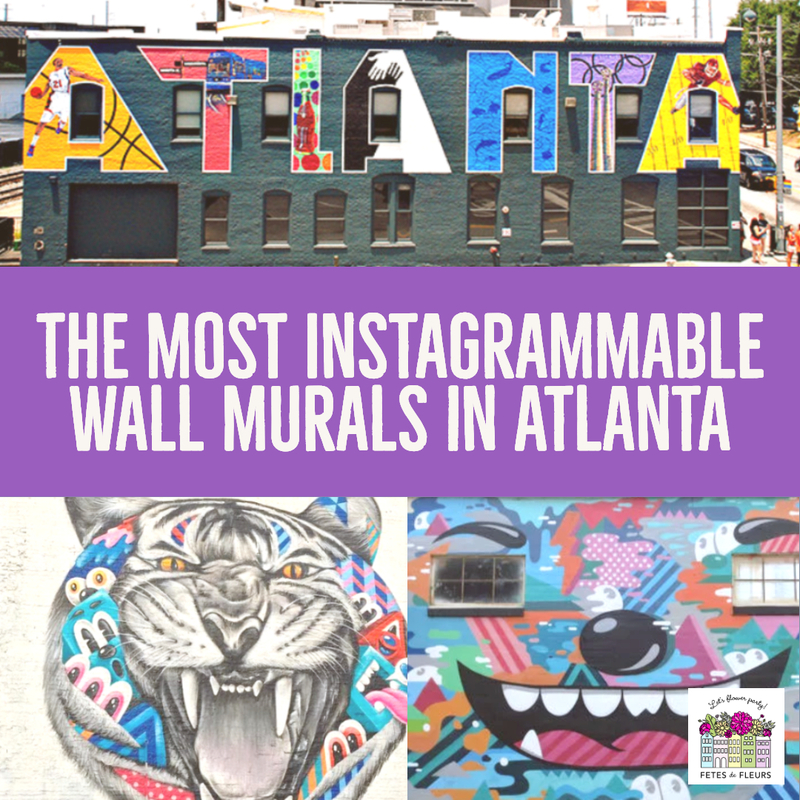 ATL is full of amazing artists that have brought their creativity to the streets and given us these incredible murals (and even better Insta posts). Keep reading for your guide to the BEST wall murals around the city! Taking “mural tour” around Atlanta would be such a fun activity for your ATL bachelorette party or girls’ weekend. Grab your girls and your favorite filter and let’s get started! Oh...and add in flower crowns from a class with us and you have yourself a perfect little afternoon! Are you trying to figure out the best venues in Atlanta to Host a Wedding related event? We thought we would help you out with some unique ideas for places we love in the Atlanta area for all things wedding related events! There are so many different events and celebrations that lead up to the actual wedding ceremony and figuring out where to celebrate those events can be a job in itself! Fill our the form below to request more information on how our flower crown parties and flower parties work below.